This entry was posted on October 18, 2010 by Alex Martel. 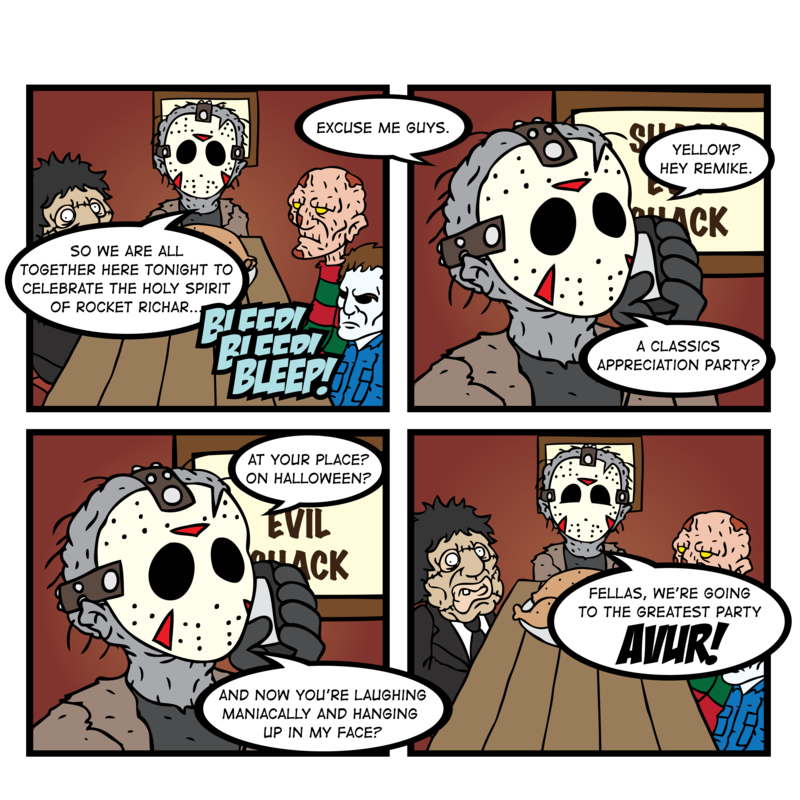 It was filed under Comics, The Slashers and was tagged with 38, carpenter, classic, comic, englund, evil, fred, freddy, halloween, horror, jason, jay, john, krueger, michael, mike, monster, party, remake, remike, slashers, voorhees. What, no meta post-punchline this time? I was really looking forward to it. I had no idea what to write actually. I might add one later. We all have a little of Jay inside of us. Even though I like to be sarcastic and cynic like Fred, I’m just an overgrown excitable kid most of the time.